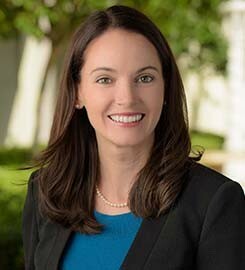 Mary Durkin is an assistant professor of accountancy in the University of San Diego School of Business. Prior to the doctoral program, she received her bachelor’s degree from the University of Connecticut and went to work at Deloitte & Touche in the firm’s assurance practice. She is a licensed CPA, and she was selected by the AICPA Foundation as a recipient of the 2011 Accounting Doctoral Scholars Fellowship. Parlee's research interests are in the area of auditor judgment and decision making. Her dissertation examines professional skepticism in the audit environment, studying the incentives and pressures that are impeding auditor skepticism and identifying methods to better promote skepticism in the audit practice. She is a member of the American Accounting Association and has presented her research at national academic accounting conferences. Jollineau, J., Durkin, M. (2018) Understanding and Improving Judgments and Decisions in Accounting, Routledge: Taylor and Francis Group(2018), 37-56. Durkin, M., Rose, J., Thibodeau, J. Can Simple Metaphors Be Used as Decision Aids to Promote Professional Skepticism?, Journal of Information Systems. Submit changes to Mary Durkin's profile.